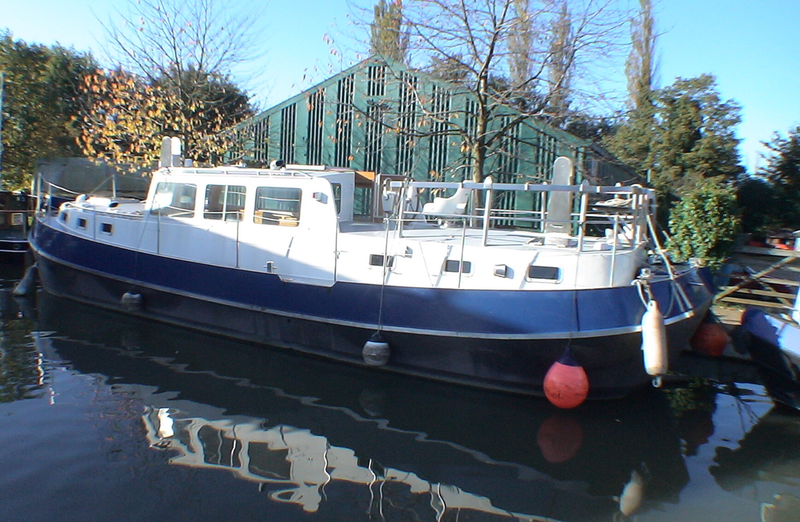 Supplied by us new in 2010 she has had very little use and has returned to our yard for a thorough checkup and still available now for viewing for a short time. She is category B for the Recreational Craft Directive. 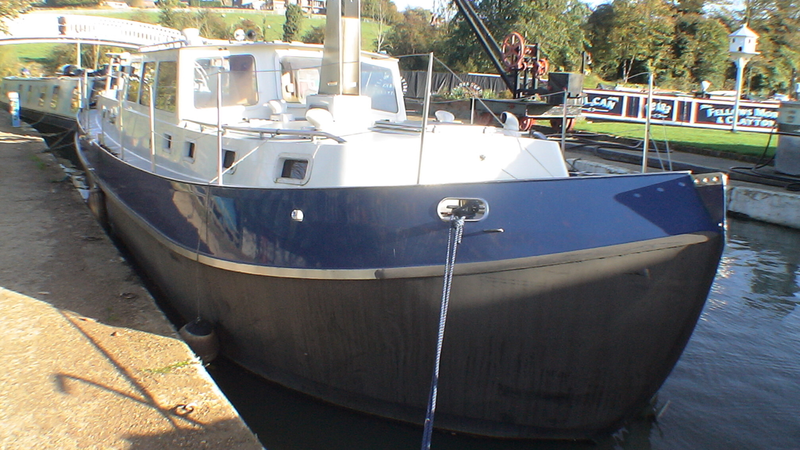 Nominal 40ft x 11ft x 3ft 3n keel up, 4ft 6 in keel lowered. 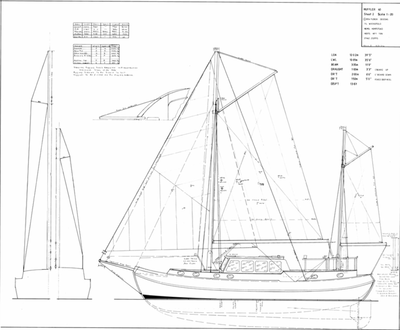 The self-lowering masts enable you to venture inland when required, the lifting keel means she can venture into shallow waters. With RCD Category B you can take her to sea. 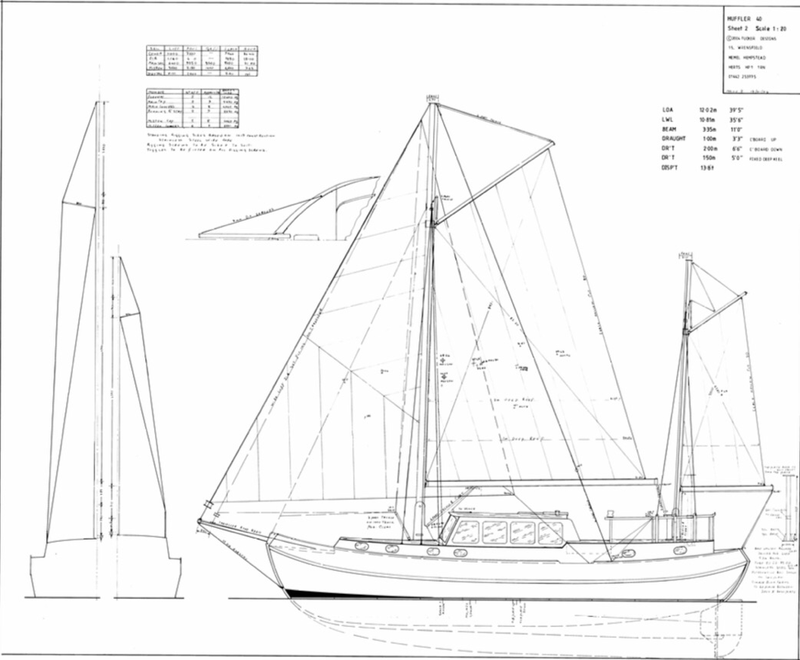 The price includes us commissioning her when she is relaunched and us showing you how to sail her and settle you in, just as we did for the original owner. Berths for 6 in 3 cabins. Tastefully fitted with maple and cherry wood. 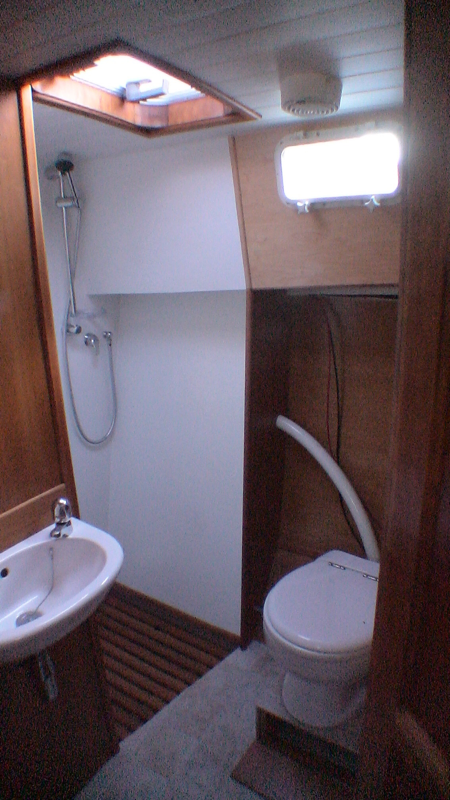 Bow cabin with good width and length single berths either side, drawers and wardrobe. 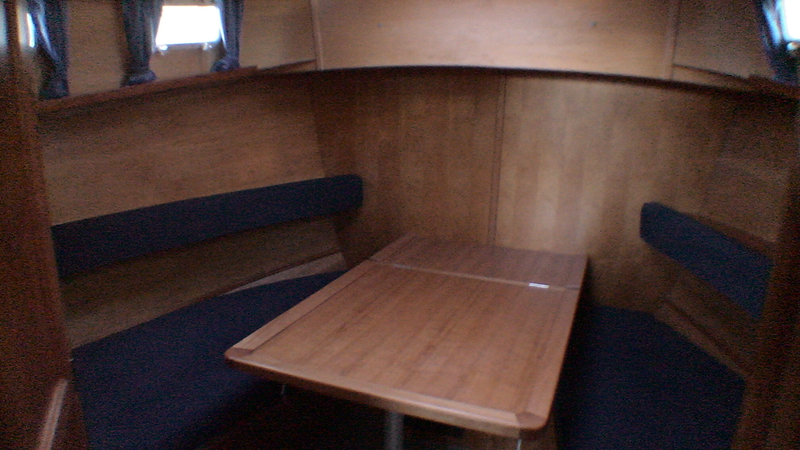 Alternative dining position with a large fold-down table. Deck hatch above. Door to bathroom with shower and basin and the first of two electric flushing WCs. 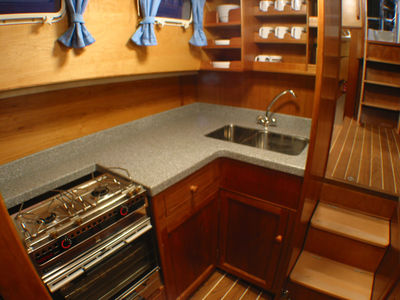 Through to galley with alcohol powered Origo cooker, microwave, refrigerator, Corian worktop and under mount stainless sink. Origo cookers work well but diesel cooking can be installed if required. Steps up to the saloon with bench seat steering position and raised dining position which folds down to a double berth. 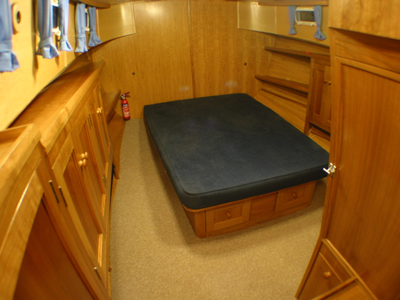 Steps down to a double sleeping cabin with king size double berth, wardrobes and drawers. 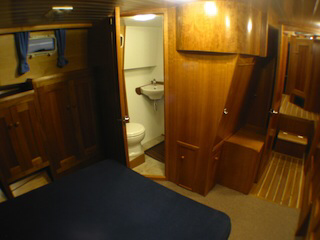 Door to the bathroom with second electric macerator toilet, shower and basin. 62 hp Beta marine 5 cylinders diesel main propulsion with ARS hydraulic drive. 3.5 kW 240-volt generator from the main engine. 240-volt ring main with shore feed, Studer 240 volt 1.5 kW inverter . NEW 400 amp hours absorbed glass mat batteries. Isolating transformer. Twin helm position, VHF, Sestrel Moore steel boat compass to the cockpit, electric fluxgate compass down below. GPS and speed log and echo sounder. Twin diesel tanks minimum 500 litres total, black holding tank 220 litres with self-discharge pump, deck fitting and contents gauge. 680-litre stainless steel fresh water with contents gauge. Two electric bilge pumps. 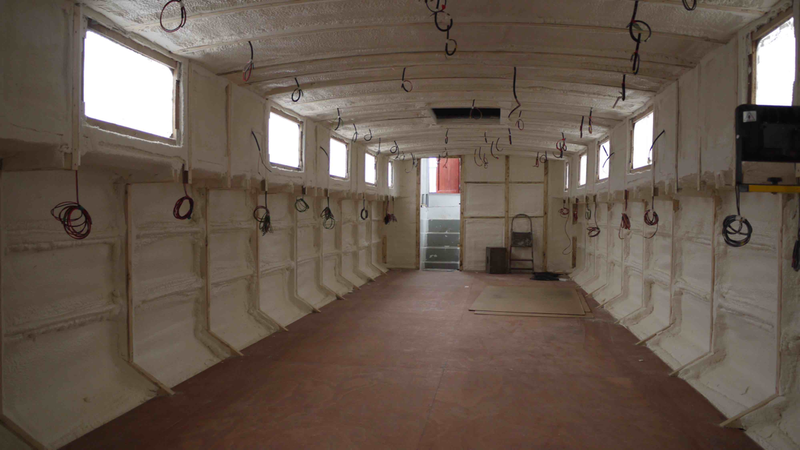 Coppercoat antifouling system applied this year before relaunching. 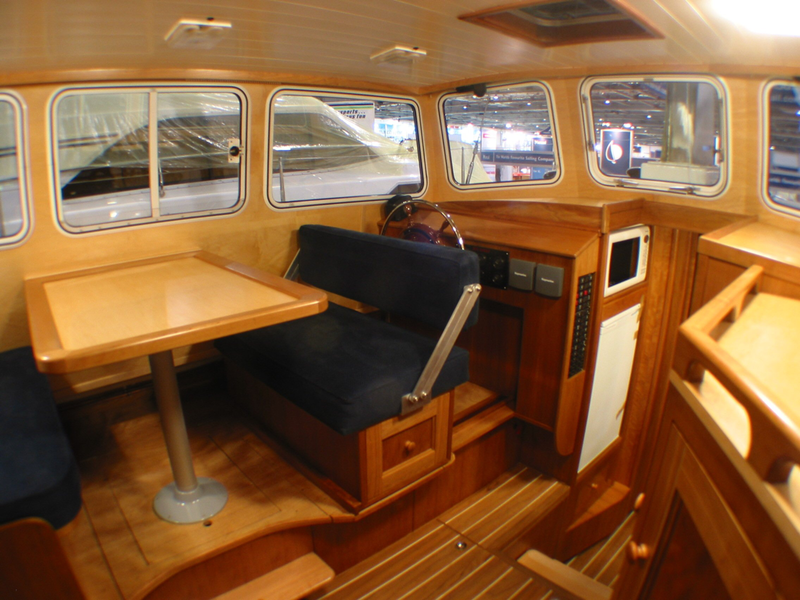 The Huffler 40 ketch is ideal if you are looking for a change in your life to seriously cruise Europe and beyond in safety and comfort, as well as to live aboard the boat for extended periods. Fuel costs are minimal using the sails though an economical diesel engine is there when you need it. October 2018: Huffler 35 Rainwitch has returned from a third cruise from the East Coast to the Norwegian Fjords and you can read about it in the Blog.